Marketing Hub Professional and Enterprise users can conduct A/B testing on a landing page. 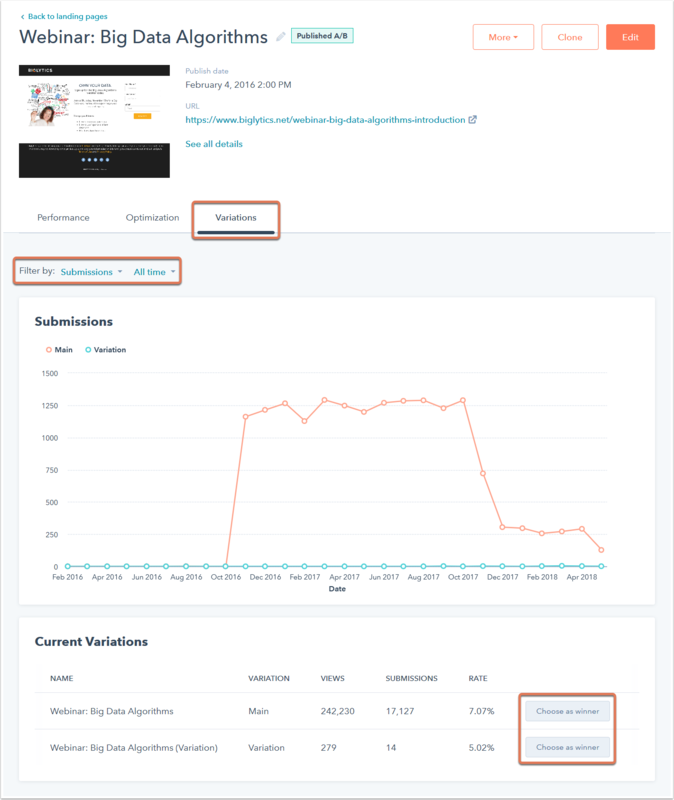 With the addition of a CMS subscription, users can also A/B test website pages. To run a test, create a new page and then create a variation to test one change in the page's layout or content. The same page URL will load a random variation so you can compare engagement on both versions. Create a new page. This is the control version of your page, and most of the elements will be repeated on your variation. 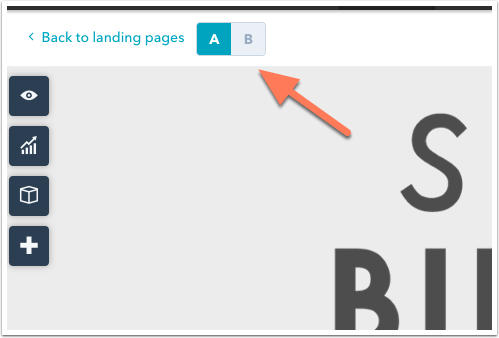 In your landing pages or website pages dashboard, hover over the page and click the More dropdown menu, then select Create A/B Variant. Enter a name for the variation, then click OK. You'll load a clone of your original page. Offers - experiment with the medium of the offer. You might test an ebook versus a whitepaper or video. Copy - experiment with the formatting and style of the content. You could test plain paragraphs versus bullet points or a longer block of text vs a shorter block of text. Image - try out different images to see how the conversion rate is influenced. Form fields - experiment with the length of the form. Should your form only request an email address or should it ask for more information? You can edit the other variation of the page by clicking the A or B buttons at the upper left of the page editor. Use the Date range and Frequency dropdown menus to analyze data for a specific time range. Click the column headers to re-order the results by a specific metric. Choose a variation as the winner of the test and stop displaying the other variation by selecting Choose as winner. After some time has passed, you can rerun an A/B test on a losing variant. Hover over the page name and click Rerun this variation. Please note: if you rerun a variation from an A/B test, the variation will be published immediately.